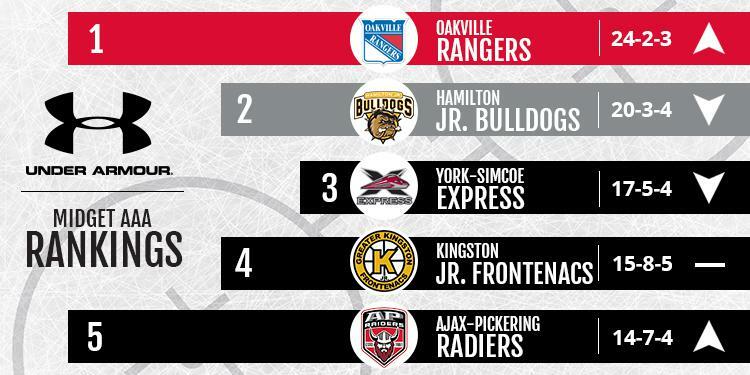 The Ontario Minor Hockey Association has released the eighth edition of the Minor Midget and Midget AAA Top 5 Rankings powered by Under Armour for the 2018-2019 regular season. These rankings will be released on a bi-weekly schedule. The regular season is winding down and teams start to find the extra gear for playoffs. 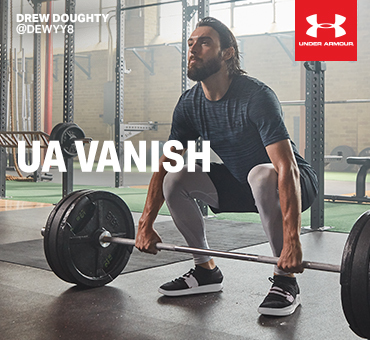 Anything can happen this time of year and it's up to the players to determine how far they go. 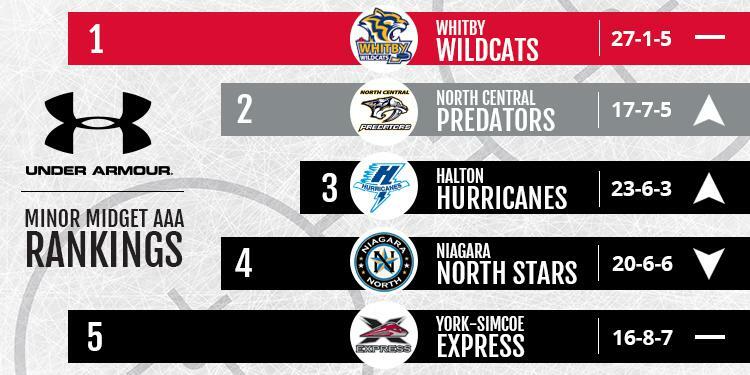 A tie between the Predators and Wildcats shows just how close this season has been between the two clubs. Halton's five wins in its last seven games pushes them up a spot while the North Stars hit a bit of a rough patch to close out the regular season. Justin Brown (Barrie Jr. Colts) - Brown is a tireless worker who can be relied upon in all situations. He is a very effective forechecker, often disrupting plays and creating turnovers. When he gets the puck on his stick, he continues to move his feet and keeps his head up looking for teammates. Brown will often create space with quick changes of direction and then rely on his vision and play-making skills to find passing and shooting lanes. Without the puck he tracks hard on the backcheck and is responsible in all three zones. Mateo Giampa (Niagara North Stars) - A skilled forward who creates offence in a variety of ways. Giampa is comfortable with the puck on his stick and with his instincts and vision, that makes him a dangerous player in the offensive zone. He continually has his head up reading his time and space looking for his teammates. With this he decides whether to attack the net on his own, cut into open space or thread a pass. His skating and edges allow him to keep defenders off balance and his hands and vision allow him to be a consistent point producer. The Rangers are rolling at the right time, going undefeated in their last 10 games. Their last loss came at the hands of the Jr. Bulldogs and the two won't meet again until possibly in the playoffs. The Raiders have rattled off a 4-0-1 stretch to put them into the top five. Matthew Tovell (Kingston Jr. Frontenacs) - Tovell is a major reason for the Frontenacs surge not only up the OMHA midget rankings, but to the top of their division. Tovell is a big, athletic goalie who shows up with his best effort every night and leads by example. A well-positioned goalie, Tovell is seldom beat with an outside shot and has frustrated shooters with excellent positioning and incredible athletic ability. It is rare to see him give big rebounds, and when rebounds do occur, Tovell follows up with solid positioning to recover. Michael Tiveron (Oakville Rangers) - With almost a goal per game average, it seems like everything Tiveron touches ends up in the back of the net. 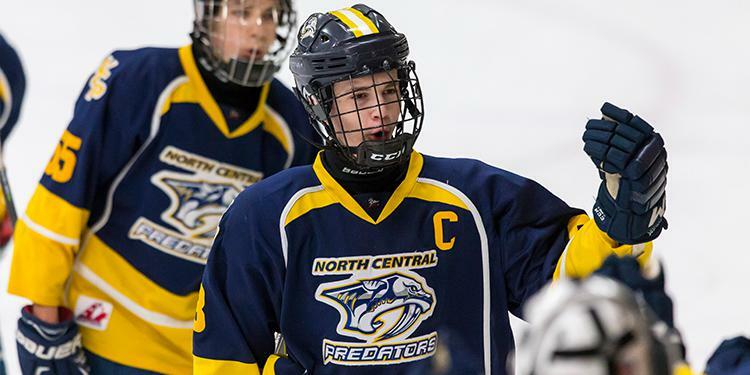 With great vision on the ice, a next level shot and ability to create space, Tiveron consistently finds himself in prime scoring areas with the puck on his stick. If Oakville is going to remain near the top of the standings, it is going to need Tiveron to continue to score at his current pace.